Piecemeal sustainability can yield great initial results but more often than not they do not stand the test of time. Make sure you set up your sustainability program in a way that lasts by integrating it into the DNA of your organization. There is no wrong way to implement sustainability, any efforts to create efficiencies and inspire stakeholders are inherently positive. However, there are certainly best practices. The pathway below should act as a guide for your organization as you embark on your sustainability journey. Sustainability means lots of different things to different people, and there’s no “one size fits all” approach that can be truly effective for every organization. Furthermore, there is likely a variety of interpretations of sustainability within your own company. Having a clear understanding of what sustainability means to your company can ensure that the resulting sustainability program fundamentally supports the objectives of your business. 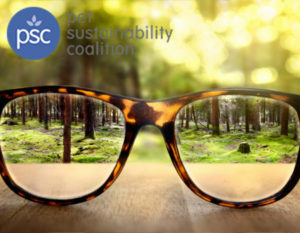 The PSC Sustainability Lens tool is a simple step-by-step process with downloadable surveys, agendas, and presentations that will help your company determine what its own custom sustainability lens is.This unique lens can be used to evaluate and prioritize individual sustainability projects and initiatives. Creating a Sustainability Team is a featured PSC tool. This guide was created to help your organization establish and manage an internal sustainability team. This guide will present industry best practices and examples of common sustainability team structures. The “Conscious Capitalism Field Guide” by John Mackey, CEO of Whole Foods Market, and leadership expert Raj Sisodia–gives you the tools for sharing and implementing the principles of higher purpose and conscious business throughout your organization. Alternatively you can download an excerpt from the book about creating a compelling purpose for your business here [coming soon]. There are hundreds of ways your company can have positive environmental and social impact. However, by narrowing your focus and determining what outcomes you want your efforts to have, you will be able to infuse sustainability into the relevant departments AND empower individuals within your company to implement. But how do you pick the BEST sustainability initiatives? You must determine what is most material to your company and what your stakeholders value most so that you get the most bang for your buck. Find out what matters most to critical business stakeholders including the executive leadership team, investors, distributors, customers, suppliers, and advocacy groups. A materiality assessment is how you discover what sustainability issues have the biggest risk and reward for your company. 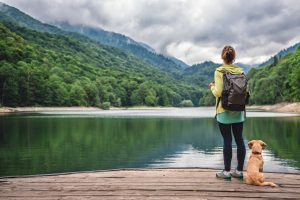 WeSpire summarizes a six-step method for identifying sustainability KPIs developed by the Hauser Center for Nonprofit Organizations at Harvard University, in partnership with the Initiative for Responsible Investment. 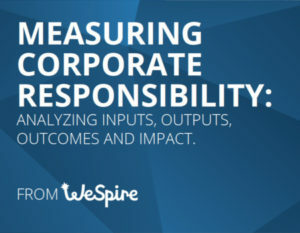 Report: MEASURING CORPORATE RESPONSIBILITY: ANALYZING INPUTS, OUTPUTS, OUTCOMES AND IMPACT. Now that you have goals and KPI’s for how you will measure success of your sustainability program, you need to figure out who is going to be responsible for implementation, establish a system of accountability, and continually improve your program year after year to ensure it is still aligned with your businesses objectives and purpose. Don’t forget to ensure that larger goals cascade down into individual job responsibilities that managers and employees are held accountable for sustainability progress just like other employee performance goals!